MASERU – While the old adage that eyes are the windows to the soul is often true, this is not necessarily the case for 34-year-old ’Makatleho Nkhahle who lost her sight over seven years ago. The widowed mother of two did not always have eyes problems until one fateful morning when she woke up to find that her left eye had lost sight completely. It came as a huge shock to her but to avoid distressing her family, especially her husband, she did not tell them hoping that the problem would soon dissipate. But her woes were amplified as sunset approached without any change in her sight and that was when she decided to tell her late husband who rushed her to the nearest hospital. As if that was not enough, three days later, ’Makatleho completely lost her sight in both eyes. The ordeal she was forced to live with was indescribable as there was total darkness all around her. Her family took her to numerous doctors who failed to restore her sight until she went to see an eye specialist in Bloemfontein, South Africa, who confirmed her worst fears that she was permanently visually impaired. She had consulted many other doctors in vain until the time she decided to go to Bloemfontein where her eyes were confirmed permanently visual impaired. “My world was shattered within seconds as everything that I believed in and hope for changed. I wanted nothing else but to sleep and never wake up ever again,” she recalls in agony. Nkhahle was born and bred in Mafeteng where she grew up a happy girl surrounded by loving sisters and brothers. She attended Motsekuoa High School before she abandoned school to get married at the age of 19. After she lost her sight, the support she received from family, friends and her church helped her through the dreadful journey. “It took me a long time to get used to the idea of not being able to see altogether. “Losing one’s sight at my age was a big challenge. I had to rely on other people for everything and it was so frustrating that I even lost my confidence. “My life changed tremendously as the challenges increased but I somehow persevered. So, through determination and support of my family I managed to soldier on. “I enrolled at Mohloli oa Bophelo Rehabilitation Training Centre where I met other people with a similar disability. After I befriended them I slowly settled in and became content with myself. “I also started to regain my confidence and began planning for my future. I finally felt the need to rise above all the obstacles and I refused to let circumstances define me. At that moment, I feel superior and a lot bigger than my disability,” she notes with a smile. At the rehabilitation centre, ’Makatleho was taught how to knit, read braille, use a computer, do art-work and manufacture candles, in addition to learning how to be mobile independently using a walking cane. “I believe losing my sight was a blessing in disguise to me because I am now a better person than I was before,” she chuckles. Although she acquired essential life skills, she struggles to get employment because employers are normally reluctant to hire people who are visually impaired. This consequently weighs heavily on her as she has two young children to raise and she has to rely on a national disability grant she gets from the ministry of social development which is, however, not enough to cover all her family’s basic needs. Because she is a resourceful person, she currently crafts beads and makes earrings, paper flowers and mats for sale. The Disability Equity Bill that is at the moment in the hands of social cluster committee domesticates the United Nations Convention on the Rights of People with Disabilities (UN CRPD) in order to prevent and uphold the fundamental freedoms of the people with disabilities while also addressing the injustices that people with disabilities go through. Former Minister of Social Development ’Matebatso Doti who presented the bill before parliament noted that the draft Disability Equity Bill was crafted in 2012 when the social development ministry was formed, under Prime Minister Thomas Thabane’s order. It was supposed to be turned into a bill but was left half-done when the new regime took over in 2015. When Doti returned to office after the current administration took over power in 2017, she continued to build the bill, a process which she says was a massive challenge because it was the first bill of its kind in Lesotho. She pushed hard ensure the success of the Bill because disabled people were arguing that the absence of the Bill compromised and left them out. Doti worked along with societies of disabled people and she sent a delegation of lawyers to South Africa to research on similar policies in that country. The Disability Equity Bill, among others, seeks to provide disabled people with access to education and to train educators on the use of Braille. In terms of the Bill, no person shall be denied access to study on the basis of their disability. It will also protect disabled people against discrimination in work places and will ensure that they get access to social and entertainment places, while also protecting their rights to participate in national elections and have access to public information in the form of Braille and other accessible formats. In accordance with the Bill, a person with disability is entitled to a barrier-free and disability-friendly environment to enable them to have access to buildings, roads and other social amenities. Furthermore, it also provides for access to aiding devices and other equipment to promote their mobility. The Bill entitles people with mental disability to register for voting in national elections and provides that a person with a mental disability should be assisted at their request by a person of their choice in voting. It also provides that a person with a mental disability shall be assisted in every possible manner to effectively, directly and indirectly participate in all legal proceedings, including giving evidence in court. The Bill further provides for the establishment of a disability trust fund by the minister of finance to support the implementation of the disability programmes and services and provides for a disability grant and a grant-in-aid which shall be granted to people with severe disabilities and cannot generate income by any means. The Bill also provides for meaningful and full participation by people with disabilities in the decision-making affecting their lives, which includes making informed choices and decisions about where to live and with whom. For his part, the Lesotho National Federation of Organisations of the Disabled (LNFOD) executive director Advocate Nkhasi Sefuthi says the Bill marks a paradigm shift in Lesotho from where people with disabilities are considered as objects of pity and charity. Sefuthi says the enactment of the Bill into Law by parliament will undoubtedly contribute to the human rights advancement of people with disabilities and promote disability inclusion in the public and private sectors. “It will give people with disabilities power to claim and enforce their rights and participate effectively in decision-making processes. “LNFOD appealed to the Social Cluster Committee to review the Bill, bearing in mind the barriers faced by people with disabilities in terms of access to the social services including access to information, physical infrastructure, education, employment, and independent living for people with disabilities. “LNFOD now appeals to the Social Cluster committee to review the Bill bearing in mind the barriers faced by people with disabilities in terms of access to the social services including access to information and physical infrastructure, education, employment, and independent living for people with disabilities. “We also appeal to parliament through its two houses to consider the Bill mindful of the long time taken by the executive to complete the Bill and speed up the processes as soon as it may be practicable for the promotion and protection of the rights of people with disabilities in Lesotho,” Sefuthi says. However, LNFOD project coordinator, Moeletsi Rabasotho is disappointed that the Bill has since been stuck with the social cluster committee without clear prospects that it will be turned into law soon. 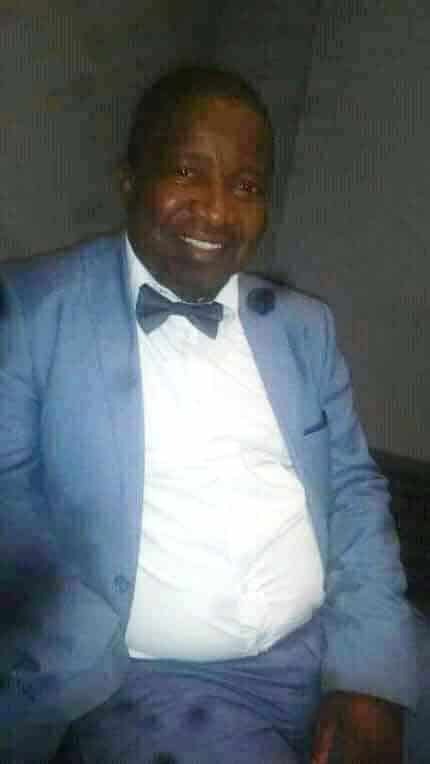 Rabasotho has therefore written a letter to Prime Minister Motsoahae Thabane asking to meet him to discuss matters pertaining to the Bill which was presented before Parliament on September 3, 2018 but to date no explanation has been given about the delay. When parliament opened, they were disappointed that among the Bill which were read, theirs were not included. Rabasotho says the last time they communicated with the social cluster committee they were informed that the committee would start by holding public hearings and public consultations on the Bill to ensure that the Bill would be turned into law with people’s opinions, especially the disabled, included. He says public consultations that were held between November and December last year throughout the country were a great success. Rabasotho notes that their understanding was that the social cluster committee would incorporate their findings during consultations to strengthen the Bill and present it for the second time in parliament so that it could be made into law but no progress has been made in that regard.